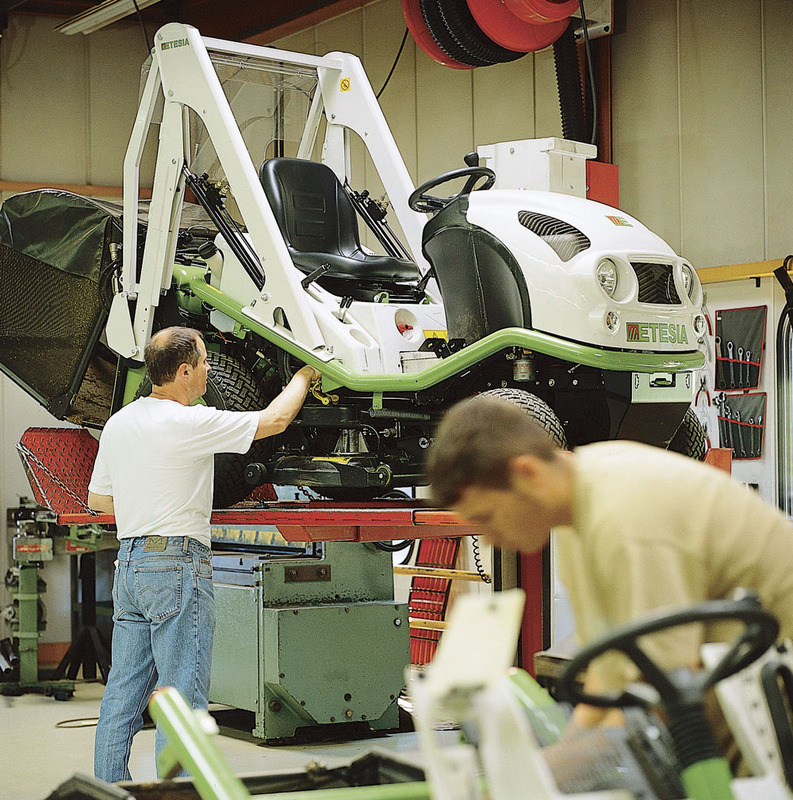 ETESIA has a state-of-the art production plant that is at the heart of the company's Quality, Safety and Environment policy, which is designed to optimise processes for the benefit of people, the company and the environment. This is why our entire manufacturing process is covered by ISO 9001 : 2008 certification, guaranteeing the quality of our products. The workshops are run by a CAM (Computer Assisted Manufacturing) system. Etesia is a company that specialises in building high quality grass cutting machinery for both the professional and domestic market. Started in 1989 with only one walk- behind and one ride-on machine Etesia have grown rapidly and now offer a wide range of products that include a variety of lawnmowers, ride-on mowers and the awesome Attila range of brush cutters. With full service and spare parts back-up as well as dedicated area managers available to give free demonstrations, we hope you will agree that “It’s easier with Etesia”. Engineering employs approximately 90 people spread across 10 departments - Purchasing, Methods and Manufacturing, Assembly, Metalworking, Maintenance, Quality Control, Logistics, Goods In and Shipping. A common database (SMARTEAM) allows everyone to update technical information in real time and optimise on-time performance. The commercial side of things consists of 3 departments who work with our partners, distributors and users: the Sales department, Marketing and After Sales. 12 people at the Wissembourg office work in close collaboration with the sales force in the field. The sales team consists of about thirty people , who cover all of Europe - France, the UK, Germany, Benelux, Italy, Spain, Portugal etc. Support, responsiveness and service are the cornerstones of our relations with our distributors and users. Four customer relations technicians, one spare parts store manager, one store manager, four order preparers, two repairers, one secretary and one department manager are entirely dedicated to the dealers and users of ETESIA products. Some key figures: 700 customers trained every year in nine languages, 15,000 customer calls every year and over 200,000 items of spare parts ordered and shipped every year. Customer focus, advice, responsiveness and availability are the watchwords of the ETESIA After-Sales Service. 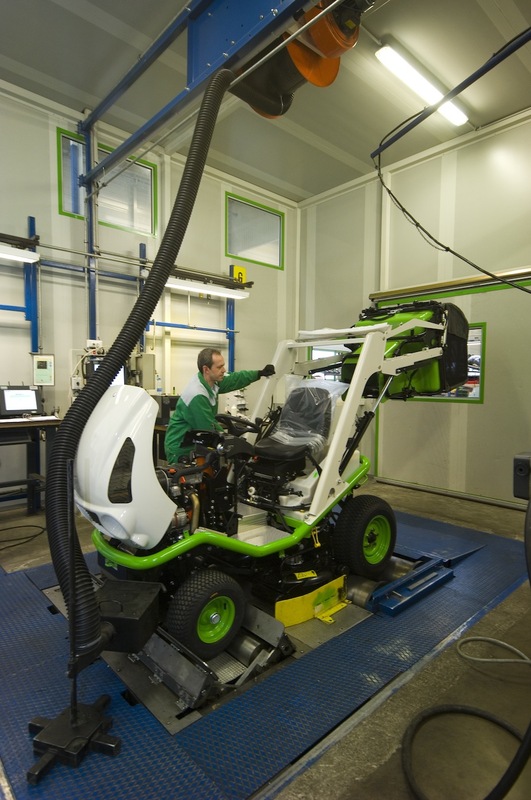 ETESIA has a state-of-the art production plant that is at the heart of the company's Quality , Safety and Environment policy, which is designed to optimise processes for the benefit of people, the company and the environment. This is why our entire manufacturing process is covered by ISO 9001 : 2008 certification, guaranteeing the quality of our products. 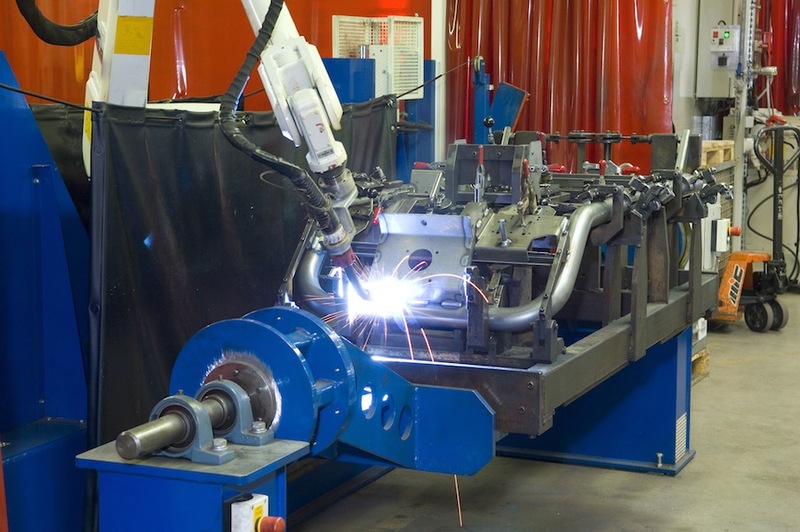 The workshops are run by a CAM (Computer Assisted Manufacturing) system. Assembly is carried out on three lines, each with test benches for checking the quality of the product before shipping. The first line was inaugurated in 1989, and it is used to assemble petrol ride-on mowers with cutting widths of 80-100 cm. This is an automotive -type production line and is 100 m long with 10 self-propelled trucks. The assembly work is done by two shifts of 16 people with a maximum daily capacity of 60 machines. The test booth has two benches with a computerised data acquisition system for tracking and archiving the technical characteristics of each machine produced. The Diesel assembly line is dedicated to the production of 100% professional models with cutting widths 100, 124 and 144 cm, some of which include over 1,000 components. The line is 45 m long and can currently produce 8 machines a day in one shift, so 16 machines a day. The diesel line test booth is unique in Europe : every product spends almost an hour on the bench. The hydraulic circuit is checked for pollution , leaks are detected with UV light, engines are adjusted etc. All the parameters are savec in the computer system via an acquisition system for traceability purposes. The last line is dedicated to the assembly of Biocut SKM (mulching mower) and Attila SKF (brush cutter) machines with a cutting width of 85 cm. The line is 30 m long and has 8 assembly stations with a current capacity of 14 machines per day. Production support/internal logistics services benefit from Wi-Fi coverage throughout the plant to track the materials and manage stock in real time thanks to on board equipment on forklift trucks. Incoming goods are entered directly into the system by staff using Pocket PCs. Designing a new product is an act of creation and commitment and a gamble on the future for any company. For the Elmar WOLF group, R&D is a continuous obsession. That is why ETESIA can be summed up in two words - small in size, but a leader in terms of innovation. The Research, Development and Test Centre is shared by Outils WOLF and ETESIA, which devote 5% of their turnover and 10% of their workforce to it. ETESIA has 10 engineers and technicians totally dedicated to innovation and high performance in professional ride-on mowers. 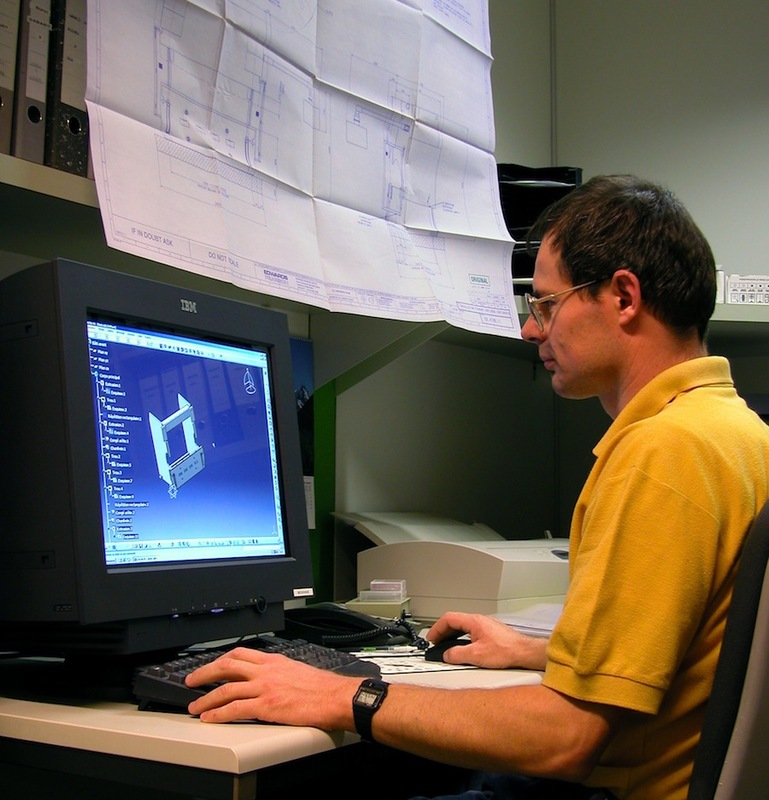 The Design department has 17 CAD workstations using CATIA V5. Technical data are managed with PLM (Product Lifecycle Management) software. 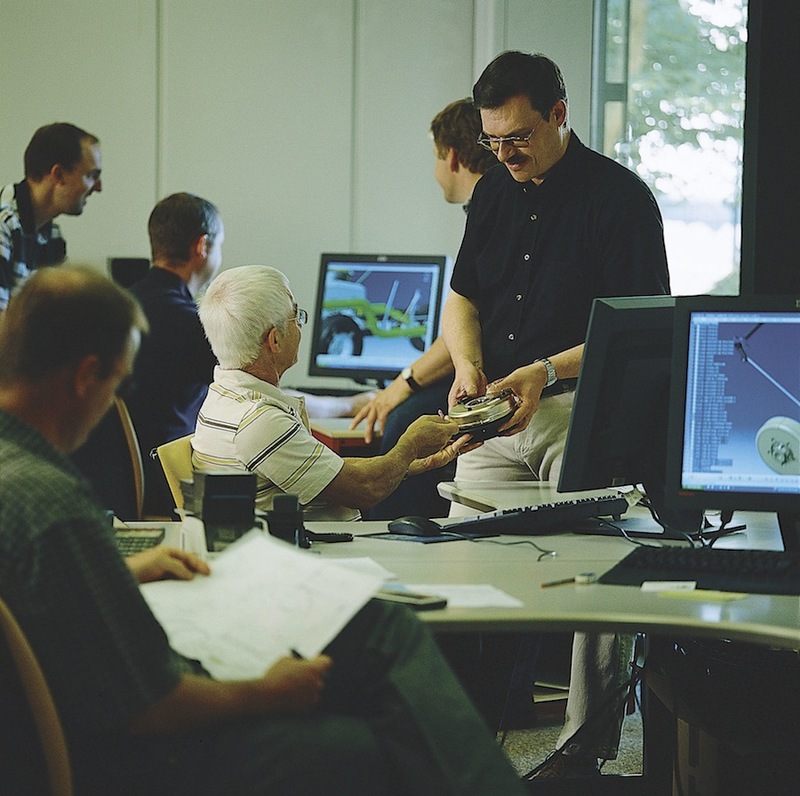 The finite-element design software allows virtual simulations to compare and validate parts or components, even complete systems, before making up prototypes. The centre's prototyping shop is fully integrated. It has all the machine tools necessary to make the functional models defined by the Design department. All testing, both standardised and specific, to guarantee the safety and functionality of products is carried out in-house. 3000 hours of practical testing and 30,000 hours of other tests are carried out each year by the centre's staff? And its efforts are rewarded, with over 50 significant patents filed by the centre since 1958, illustrating the group's commitment to setting new standards in the fields of comfort, safety and efficiency.ETESIA was awarded the regional innovation prize in 2009.